I am more than happy that my last blog post " Heritage " received an overwhelming response! 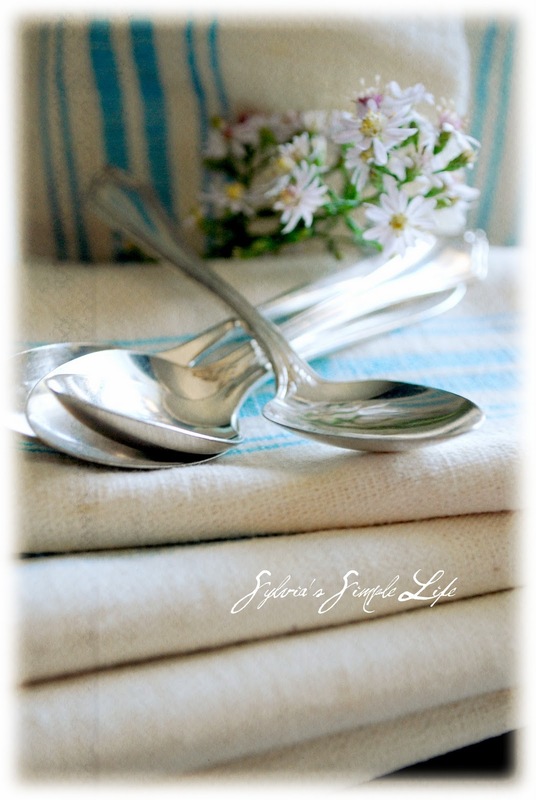 My beloved grandma's vintage fabrics were featured on three of the loveliest parties I had linked to Vintage Inspiration Friday , Home Sweet Home and Potpourri Friday . All this attention makes my timeless grandma's gift even more special! I called her and let her know the appreciation of her work and generosity ...and her response was: "What are you talking about...What ..blog ..." And it's the way our phone conversations have been going on for quite some time ; I am saying something, she's talking about whatever she has to say, I am only listening, laughing, wowing and oohing most of the time, but at the end she (wisely) says "Oh, dear ! It is simply great, but don't make a big fuss over (it)..."
In fact, I have always liked such an attitude: always give your best, but don't take yourself seriously, keep it simple and be appreciative. From my loyal readers and top commenters, Susan T , Anita, Irina, Shirley, Elizabeth , Zuzu ( my very first follower) ,Michelle, Dayle,Ricki Jill Treleaven and recently Suzanne, to single-time visitors, everyone that visits the blog makes me content, blessed and humble. You inspire me! 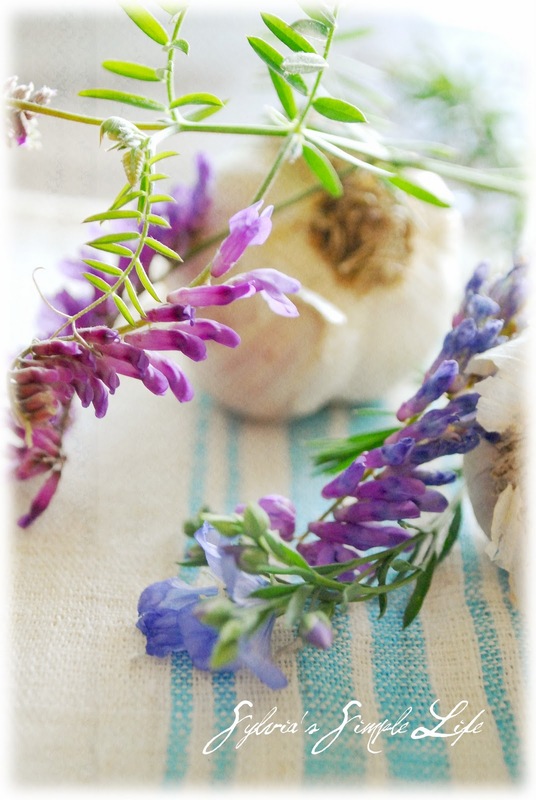 You nurture the growth of my blog! (You make me glance at my BlackBerry every ten minutes :) You ROCK! and I am filled with gratitude! Yes! It's the very first time I have ever done one, but I know it's the best time. 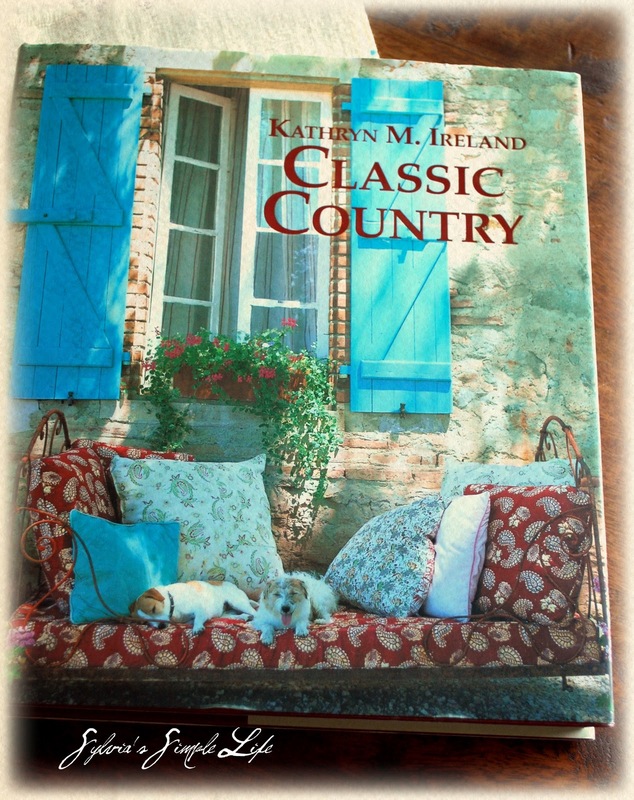 Kathryn M. Ireland 's CLASSIC COUNTRY. The giveaway ends Saturday, October 1st, 2011 at 12:00 (noon) central time. THANK YOU to each and every one of you !!! I would be extremely thankful if you put my giveaway button on your sidebar. I recently discovered your blog and absolutely love it. I am your newest follower and will look forward to receiving your posts. Thank you for having such a lovely giveaway. Your grandmother's hand weaved fabrics are exquisite and it must be so amazing to be given her beautiful handiwork. I was extremely close to my paternal grandmother (who has since passed away) but there is not a day that I don't think about her and her influence on my life. I still treasure her wedding ring which she gave me many years ago and the look of love in her eyes as she entrusted it to me. We should be thanking you! You have delighted so many of us sharing your life, your values, and your family. And I for one have enjoyed visiting you as often as I can and I will continue as long as your door is opened. What a beautiful and thoughtful giveaway! I noticed all the attention your post got too! Well deserved. Thanks so much for your visit over my way. Great to have your feedback! What could be a more wonderful way to express your own gratitude than giving something of yourself and your cherished Grandmother. I was extremely closed to my paternal Grandmother and know what a sweet treasure I had in her. I miss her daily. You are such a sweet soul.....and your photos are like a painting that express the love that you have inside...I so love this blue color that you showcase! AND YOUR QUOTE to me is so perfect my dear....I often think that I am a better teacher of writing than I am a writer, and a better "INSPIRER" than an artist...but it all goes together, doesn't it? And with hard work, things do progress...I have another wonderful journey ahead of me, God-willing. May you have PEACE and love in your life....I must run off to work at this moment, or else I would do what is necessary to promote your giveaway, but I have limited time in the morning; maybe this evening I can NOT fall asleep after dinner!!!! What an incredibly gracious and generous gift you are providing to one of your readers. Any of us will count ourselves abundantly blessed to receive such beautiful and lovely things. Thank you for hosting the giveaway. You are so blessed to still have one (or both) of your grandmothers. I lost both of mine in 1996 (one in April, one in December), so I no longer have those precious ones in my life. However, I do have photos and memories...and since I am researching my genealogy right now, I am hopeful of honoring both of them with a history of their lives. I must agree with the sweet friends above that your blog is such a gift to all of US! The beauty, kindness, and peace you bring to the world is priceless!!! You are so kind and generous for mentioning our names, and for gifting these beauties! It is always a joy and privilege to visit your lovely world. Grandmothers are such a treasure! My maternal Grandmother's birthday would have been this coming Saturday. She helped raise me (on the Black Sea ;), and was a beacon of energy and good will. I miss her! Sylvia, you are so sweet to thank us like this. 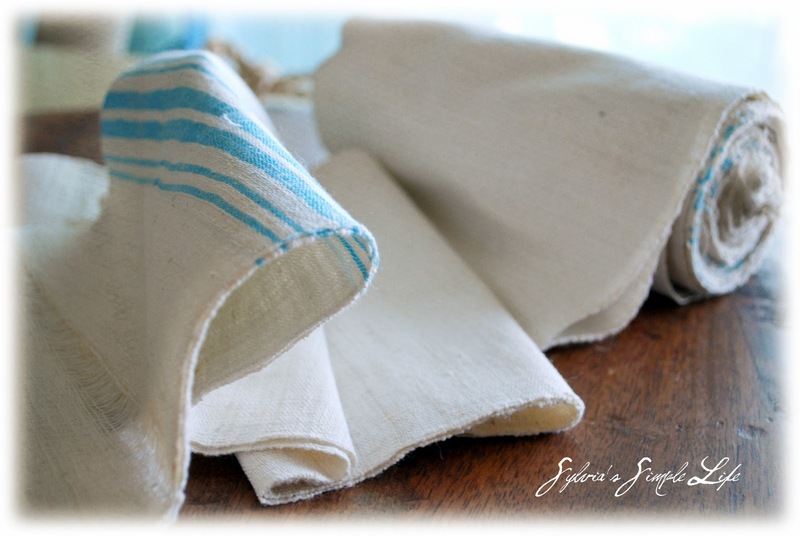 I am truly touched that you are willing to share napkins you made from your grandma's hand-weaved fabric. Plus it has turquoise on them. Who doesn't just *love* turquoise? I know I love it! 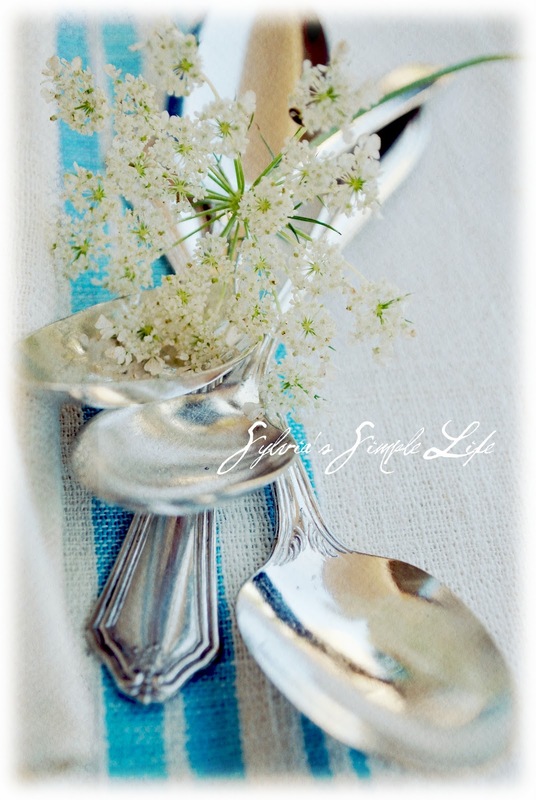 Plus, you are sharing with us dainty little teaspoons from your very own collection. I approve!!! ;P *PLUS* you are also including a copy of Kathryn Ireland's Classic Country! That makes the trifecta of lovely, thoughtful prizes...*squee* I checked out Ireland's Summers in France a few weeks ago from our library, and it was a wonderful read with lots of gorgeous photographs. I know that Classic Country is probably pretty awesome, too. Thank-you, Sylvia, for writing a wonderful, inspiring blog. I appreciate you because your voice is so real, and your heart is generous. I just wanted to drop by and tell you how touched I was by your message. Got me a teary eyed! I'll leave it at that, Black Sea Sister...you are a very special person. Not only does your Grandma have talent, but she is a very wise woman! Please sign me up for the chance to win your "Thank You" gift! 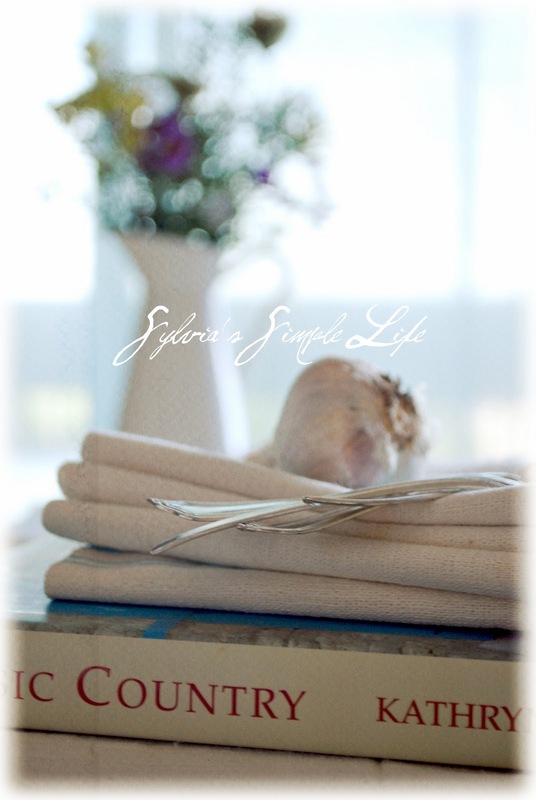 It is absolutely perfect for me....I LOVE the old linens! I think you must have been to my home and seen all my favorite things! Oh my gosh, Sylvia, what an AMAZING giveaway!!! You'll have to keep those napkins in a vault for safety! lol and gorgeous book--WOW!!! Thanks for visiting and telling me about your wonderful Giveaway, WOW!!! Ironically I JUST bought a great book by the same Author called SUMMERS IN FRANCE... so even if I don't win, I shall have to look for this CLASSIC COUNTRY Book by her since I absolutely Love the Book I have. I think its wonderful that your Grandmother's wonderful fabrics are being enjoyed by so many here in the Land Of Blog... great fabrics truly are timeless Treasures! I love visiting your blog. I know I'm going to find beauty and sincerity here. 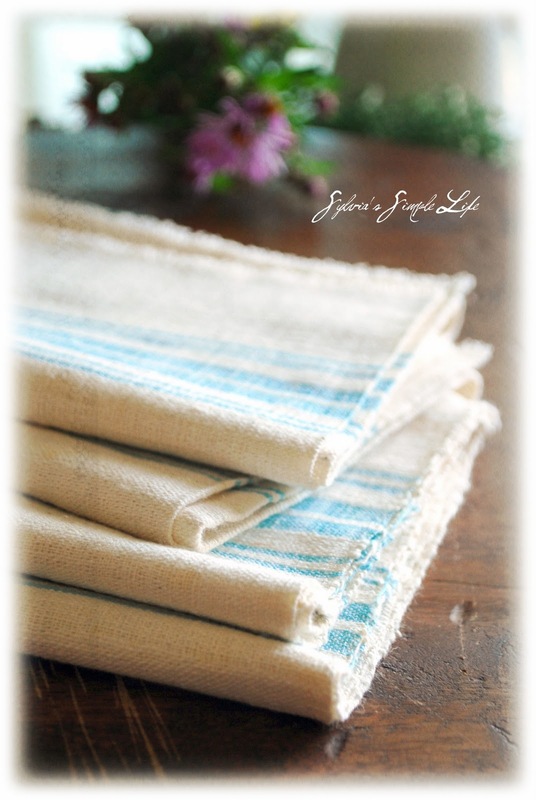 Your grandmother's fabrics are just lovely and oh, you are so blessed to still have her in your life! I still miss mine. Your generous and sweet gift is sure to make someone out in Blogland very happy. Wishing you a delightful weekend, my Canadian friend. OH how I love the colors you have captured here; I am fully awake now thanks to the vibrant and colorful images you have captured here...thank you SO MUCH for your visit so quickly to my post. AND YES, KORALEE IS CANADIAN! YOU Canadian friends are just fabulous human beings...she is so gentle and genuine...like you. 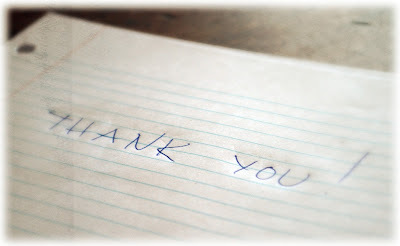 Hi Sylvia, thank you so much for visiting my blog. Now I have found you and your blog is beautiful. And what a sweet post. I envy you still having your grandmother and being able to enjoy her. Cherish the times you have together. Such a lovely giveaway, your grandmothers fabrics are beautiful and I have a copy of Classic Country and it's one of my favorites. Thank you so much for your lovely message about my grandmother. I really appreciate it. What a treasure, a grandmother's love, as you know. Sylvia, what a beautiful photographer you are! And what a gift to have your grandmother in your life!! Makes me miss my grandmothers so very much (Lala and Gram) They have both been gone for a long time but I think about them all the time. My Gram called all of her grandchildren "gra" (she pronounced it "agraw") which means LOVE in Gaelic. I hold the memory of her calling me that in the palm of my hand like you hold and cherish your grandmother's beautiful hand-weaved fabrics! What a beautiful post, I came here after seeing your blog on Anitas. I will now be coming to visit daily. 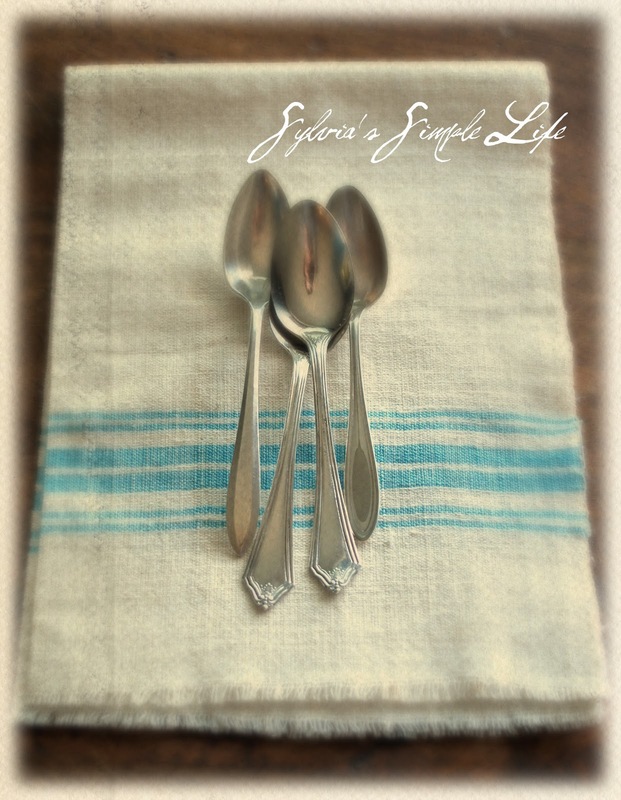 I love your little teaspoons, such a beautiful give away. I have to laugh at your Grandmother's response. Now, I could be you and she could be my Grandmother, for that is just about what she would also say! 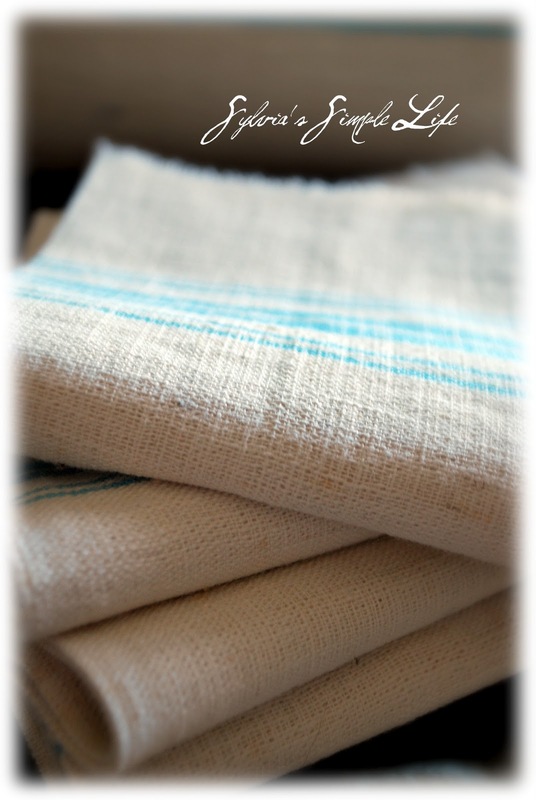 LOL They were indeed gorgeous linens and you have every reason to treasure them, They also made a lovely post! Your photography is just stunning and made me admire the linens even more. What a generous giveaway to make napkins out of these linens. I also love the silver and the book looks marvelous! Thanks for the chance to win. I will post it on my sidebar. Thank you for linking it up with Home Sweet Home!